The ever-worsening bilateral relationship between India and Pakistan is inching towards an unmanageable phase. Despite being in the state of peace, a war-like situation has persisted on the Line of Control (LoC) in Kashmir. The two states are excessively indulged in extending propaganda war to defame each other internationally. The hostility has picked up the pace especially after Prime Minister Narendra Modi took office in 2014. There is no denying the impression that blame game has remained one of the most significant weapons used by the two states against each other to dent the reputation in world politics and achieve one’s nefarious objectives. To quote few such instances, India holds Pakistan responsible for the incidents and terrorist attacks in Indian-held Kashmir. India has always held Pakistan responsible for the terrorist attack on its Parliament (Dec 2001), Mumbai attacks (Nov 2008), the Pathankot attack (Jan 2016), the attack on the Uri military camp (Sept 2017) and the attack on army camp in Nagrota near Jammu city (Nov 2016). To pursue it further, India has remained fierce vocalist for the alleged involvement of Lashkar-e-Taiba/Jamaat-Ul-Dawa and Jaish-e-Muhammad for conducting attacks mentioned above. New Delhi has demanded that the chiefs of these organisations should be handed over to India and the alleged terrorists caught by Pakistani government after Mumbai attacks must be hanged whose cases are still lingering in Rawalpindi courts. Similarly, Pakistan has also blamed India for its involvement in Balochistan and Karachi. The arrest of Kulbhushan Jadhav from Chabahar confirmed that Indian intelligence agencies are indulged in spreading terror and chaos and funding non-state actors to yield irregularities in Pakistan. The recent bloodiest wave of terrorist attacks in Khyber Pakhtunkhwa and Balochistan is the part of the same story. India is doing this to disrupt the smooth democratic transition in Pakistan and interrupt the 2018 general elections. The current Indian manoeuvres highlight three important paradigms of New Delhi’s strategy. First, India has demanded punitive measures against the organisations listed above for reopening dialogue. Secondly, this pre-condition for holding the peace talks is coupled with Indian endeavours to isolate Pakistan internationally and regionally and to get it declared as a terrorist state by the toothless UN and the mighty US. Thirdly, with the help and assistance of the US, India is increasing its role in the Indian Ocean and Afghanistan and becoming Asian power by pushing Pakistan to the back burner. This will inevitably disturb the balance of power in the region and will hurt Pakistan’s strategic interests. 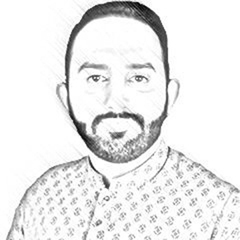 Despite New Delhi’s attempts to launch a reign of terror in Kashmir, building illegal dams on Pakistan’s water, denting Pakistan’s reputation, disturbing the regional balance of power, exacerbating cross-border terrorism, media campaigns and other border-related skirmishes, Pakistan has alwaysremaineda staunch vocalist of peace talks. Pakistan has always taken initiatives to start trade with India, expand societal relations and resolve the Kashmir issue. Therefore, it would be desirable if India adopts the same approach towards these problems. Moreover, Pakistan has adopted a very rational stance that if Pakistan has been financing these organisations then why is Pakistan facing the most disastrous bloodshed? According to a report, 80,000 civilians and arms forces personnel have been martyred in these attacks. Thus, to further avoid bloodshed, the two nations must rethink their paradigms of decision making. Let’s take a deep breath and reflect on what India and Pakistan have achieved from this decades-long antagonism.Despite the heavy toll of causalities on both sides, the ongoing tussle has achieved nothing except losses. The two countries started their journey together, share a common history and to some extent carry similar cultures. The exigencies of time suggest that they should forgo their old useless rivalry and open up their hearts. Firstly, trade is the most significant component of a globalised world. All the developed nations had set-aside their regional and international disputes and maintained their trade relations with other states to enhance their economic strength. Likewise, Pakistan and India must move forward in this regard and remove all non-tariff barriers and bureaucratic hurdles to strengthen trade ties. Both the nations must provide non-discretionary market access to each other. Secondly, increasing people to people contact is the crucial element to cement the fragile relations between Pakistan and India. The forces of bigotry and extremism are loud on each side. Therefore, to counter the increasing hatred, misconceptions and stereotyping, people must interact with each other and forget old enmities. To achieve this end, governments of both the countries must facilitate the travelling regime. Bringing ease to visa policies, ensuring the security of tourists, setting up educational exchange programmes, exchanging artists and professionals, developing shared publications and conducting joint ventures of exhibition and events can yield positive results for the betterment of the relations. Thirdly, the two countries have some of the best players indifferent sports. But, unfortunately, they avoid indulging in contests with each other. The state machinery needs to initiate the games between the two nations to bring to halt the feelings of hostility. Fourthly, both the countries are in the development phase of their nascent democracies. And with the shared social background, both countries are facing similar problems. Why don’t the civil bodies and government of both states join hands to weed out the issues? Fifthly, there is another strong harbinger of change.We must start telling our young one’s the story of the partition where men, women and children saved one and other from injustice regardless of the regional affiliation and religious sentiments. The intelligentsia of both nations must devise a strategy to lessen the effects of hatred and highlight the stories of living together. Moreover, adding chapters of love between the two countries in the curricula, making films which depict the love of the people in tough times and writing stories of joys and suffering to gether may further help the cause.